As we move through life and time with another, we often face obstacles to intimacy and connection. We often let the every day pressures and responsibilities of life obscure the inner knowledge that our relationship with our Beloved needs to be prioritized. Sometimes we know this and then forget….and sometimes, we have not let ourselves know this. As a practicing Tantric couple for almost 10 years, we live our practice of keeping our love alive, healthy, vibrant and growing. And…we LOVE working with couples! We are honored to work with you as a couple to assist you in deepening the love between you. Sometimes it’s about expanding the love and connection that is already present and sometimes it’s more about finding that intimacy and connection that has been forgotten or not realized. Sometimes it’s about healing past wounds in ourselves, so that we can be more open to the other and sometimes it’s about being each other’s healers so that we are MORE than lovers, friends and partners. Whatever the desires, the issues or challenges may be, we will hold your relationship as sacred and help guide you into more love, passion, connection, intimacy and connection with each other. Depending on your experience with Tantra and Sacred Sexuality and your needs and desires, we will customize sessions that allow you to learn and experience each other in ways that will deepen your ability to open to more love. Every couple is different. We honor YOUR relationship and look forward to creating private sessions that will benefit you as individuals and as Beloveds. In order to get started, we will ask you to both request and fill out a personal profile that will give us the information that we need in order to begin our work with you. We will then offer to have either a free 15 minute phone conversation to ask and answer any questions and clarify your needs and desires,clarify the intent of our work and decide our first session time, OR, if more appropriate, we may suggest a one hour in-person consultation. 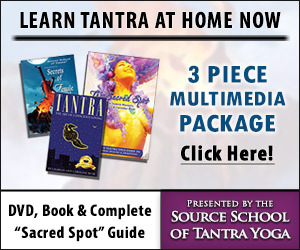 We may also suggest, if you haven’t had a lot of past experience in the study of Tantra and Sacred Sexuality, that you attend one of our day long Introduction to the Art of Tantra workshops. You may choose to work with both of us, or you may choose to just work with one of us. We also ask that you consider making a 3 session minimum commitment so that you have the opportunity to grow with the practices. Please be in touch to discuss Out Call (One or both of us travel to your location) options, as cost will vary depending on your location. Ultimate Immersion Experiences: We also can customize an experience of the length, or with as many session hours as you desire, in your location or ours. We have a beautiful home just outside Boulder, CO where we offer private retreats with optional Bed and Breakfast accommodations. Or....we will travel to you! Please don’t hesitate to contact us with any questions about any of these options. We look forward to working and playing with you….please do not hesitate to contact us with any questions or concerns. Many blessings on your journey….